If you haven’t been paying attention, today’s typical home-town newspaper has gone high tech. A few recent articles in the NY Times and elsewhere should make that clear. For example, how about the tech that Michael Shear uses. He is one of the Times’ White House correspondents. He uses Sling TV so he can watch cable TV news no matter where he is in the world. He uses 2FA for all his accounts and tries mightily to detect phishing campaigns, as much as we all can. His sources “now routinely ask to discuss issues with secure texting apps such as Signal or Confide.” He watches various Twitter feeds, too. 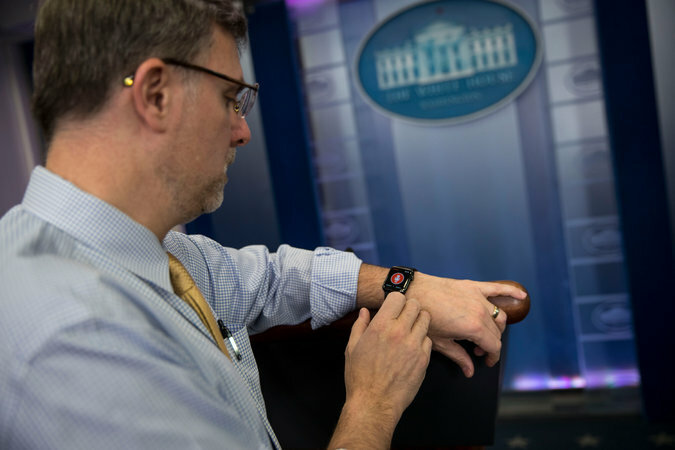 “I had to adjust my Do Not Disturb settings on my iPhone so that notifications resume earlier — at 5:30 a.m. now.” He also has his Apple Watch set to alert him every time the President tweets, but thankfully set to silent mode. But that is just one reporter. How about if you had to support the entire Times newsroom? That is the job for Runa Sandvik, who has the unique title of Director of Information Security for the Newsroom. Her job is a combination of IT support and researcher. She has already created a number of secure tip lines for sources to leak info to the paper. This includes a public-facing Signal and WhatsApp number, as well as a SecureDrop instance. She has set up 2FA on all the paper’s Twitter accounts and routinely gives security lectures to help reporters improve their security hygiene. These tips are a big deal: the Times gets hundreds of them a day, and in the past they weren’t very secure. A hackathon in Australia last month developed another secure messaging app that could be simply deployed even by smaller papers that don’t have their own Sandvik-in-residence, and posted the code on Github. The effort was part what is being called “Editor’s Lab” sponsored by Walkleys, a journalist/tech collaboration. Alecia Swasy did her doctoral research by studying the habits of 50 top reporters at four metro papers for the past couple of years. With all of them, reluctance to use Twitter gave way to acceptance and now expertise. One early advantage was that Twitter can monitor a reporter’s beat 24×7. “Twitter gives print journalists a chance to beat TV news cameras to breaking news,” she posted. It is also the new phone directory for a reporter to track down a source or confirm an identity. “You still need to wear out your shoes and knock on doors,” she posted. Twitter can also expand your readership to a global reach, far beyond your metro circulation boundaries. As an example, an environmental reporter in Tampa had a commanding Twitter presence which landed him a gig on Slate and eventually a book deal. The new rule for reporters is: If you don’t have it on Twitter first, it’s not a scoop. Finally, there is this news nugget. When someone working at the NY Times (or at least having an IP address in the Times’ network address range) shows up in your web server logs, it could tip off someone that they might be a target of an investigation. This is what happened in a 2015 federal corruption case. Sandvik uses this as an example of why more reporters should be using VPNs and Tor and similar services. The same thing routinely happens at non-governmental organizations that may be targeted by groups that don’t agree with their mission. Some groups are at the receiving end of malware that targets their IP addresses too. No doubt about, tech is here to stay. Who knows – it might help the newsrooms become more productive as staff sizes shrink? Love this post… such a great reflection and synopsis of the dynamic changes occurring in the news room . I have seen this potential for Twitter since 1977….just wish they could figure a way to monetize their power. May I share this on LinkedIn?